Find you purpose through impactful work. Support previously marginalised, talented South African youth to enable their full potential. Build real things that make a difference. Join a product team and work on real world solutions that add value to a developing economy. Re-engage yourself, in a different part of the world. 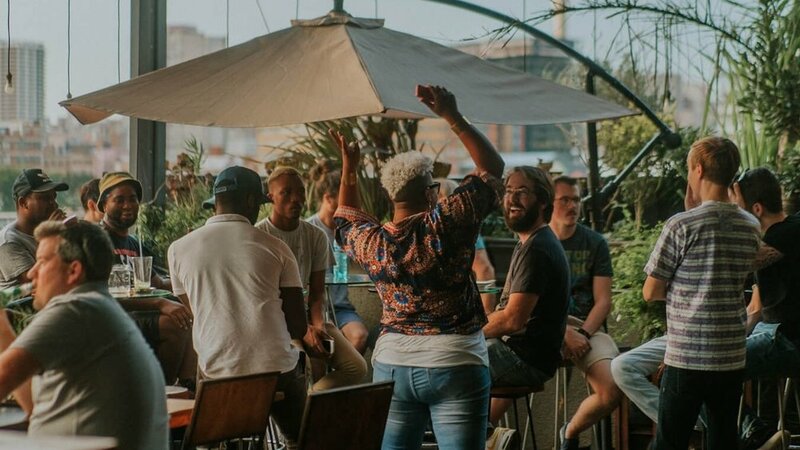 Live and work like a local in the bustling, energising, creative city of Johannesburg. The Rainmaker Programme attracts hundreds of applicants each year. Please complete our simple application form and stand out from the crowd. Anouk is a Dutch data scientist who recently swapped her Hong Kong consulting job for a year of travel around the world. Halfway through her journey across Africa she settled in Johannesburg to get to know Umuzi. She worked on the BI Analytics data product with the C11 and C12 Data Science Recruits and started a data science programme for managers. Anouk also ran a number of soft skills workshops with recruits from different departments improving their communication, presentation and time management skills. Unfortunately, her attempts to improve her roommate Uri’s time management skills have so far been unsuccessful. Erin is a recognized expert in high-value applications for robotics and operates at the intersection of product management, project engineering, customer development, and product-market fit. Over the years - she has initiated the market appetite for telepresence robots, indoor mobile robots, and robotic picking in warehouses. One of these companies, Industrial Perception, Inc., was acquired by Google in 2013. Eitan is an experienced and talented data engineer working for the leading data pipeline startup Alooma. Eitan brought his skills and experience to Umuzi by helping shape Umuzi's data engineering and data science curricula, and leading a technical product team of Umuzi recruits to develop the high-value CV Builder app. Peter is a highly experienced software engineer and scrum master. He has previously worked at a San Francisco company building community forums, a product development company for the active aged community, and is the founder of a device prototyping startup. At Umuzi he has worked closely with recruits implementing agile and scrum, has built the Umuzi server, and has pioneered Umuzi’s data warehouse and data pipeline offerings.